CMA is real estate acronym for “Comparative Market Analysis.” A CMA is prepared by a real estate agent providing data comparing your property to similar properties in the area. The first thing an agent will need to do to provide you with a CMA is to visually inspect your property. This inspection won’t be overly detailed – just a visual walk through allowing the agent to make an accurate assessment of its condition and worth. The next step is for the agent to obtain data on comparable properties. This data is usually available through MLS (Multiple Listing Service), and a qualified agent will make adjustments for differences in your property and the other properties available. This will give the agent an idea how much your property is worth in the current market. The CMA is not an appraisal. An appraisal must be performed by a licensed appraiser. 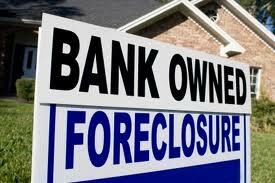 What are the chances of buying real estate again after a foreclosure? The answer to this question does not have any clear cut and dry answer. There are quite a few variables involved when trying to figure out when someone will be able to purchase a home after a foreclosure or short sale. Much will depend on the circumstances that led you to foreclose; generally it can take anywhere from two to seven years. Of course it also depends on how you have maintained your credit AFTER the foreclosure. According to most lenders, you will need to re-establish a credit score of at least 580 to qualify. My suggestion is to contact a reputable and knowledgeable lender or mortgage broker. 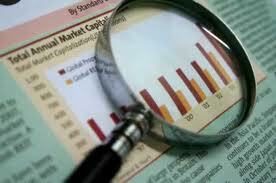 They can review your current situation and offer advice and services on repairing your credit. Also, there are many on-line resources that can help you take the right steps. Some services are free and others charge a monthly/annual fee (try doing a Google search then check for feedback on the provider). Finally, consider asking your real estate agent for properties where seller financing is available. Often buyers may benefit from less stringent qualifying and loan payment requirements and more flexible rates on a home that otherwise might be out of reach. These loans are often short term with the idea that within a few years, the home will have gained enough in value or the buyers’ financial situation will have improved enough that they can refinance with a traditional lender.